Turkey dinners, mashed potatoes, creamed corn, stuffing, cranberries, and pumpkin pie - my mouth is watering already. That lingering aroma of amazing food is the sign that we’re in the middle of the holiday season, with Thanksgiving Day right around the corner. Thanksgiving is an opportunity to spend time with our families - or the ones closest to us - and to reflect on who, or what, we’re thankful for in our lives. It's a time to indulge in an abundance of delicious food while sharing meaningful memories made together. However, everyone may celebrate their Thanksgiving differently and have their own personal “traditions.” For students at UH Hilo, what does Thanksgiving Day mean to you? What are YOU thankful for? 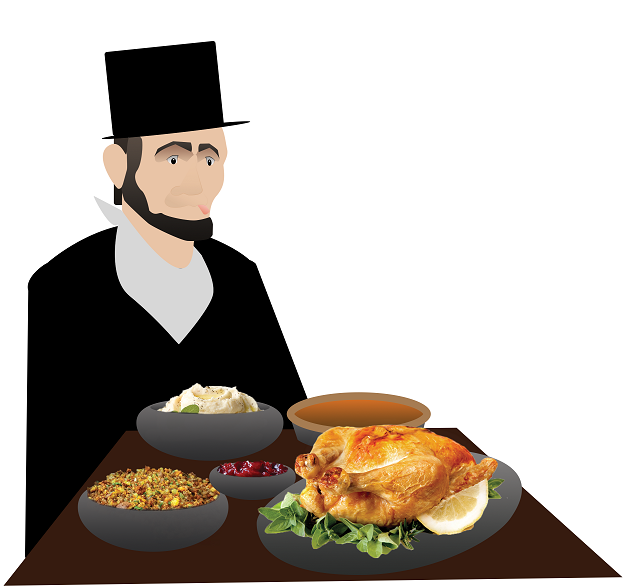 Thanksgiving Day was officially established as a federal holiday in 1863 by then-President Abraham Lincoln. Since then, Thanksgiving is celebrated in the United States on every fourth Thursday in November. As this year’s Thanksgiving Day approaches, be sure to stop and think about what you may have to be grateful for in your life. Although many of us can be blindsided and overwhelmed by our own personal hells and hardships we’re enduring (especially with finals right around the corner), we all have something to be thankful for, even if it's simple, or even if it's just being alive. Life is too damn short to not appreciate the little things every once in awhile. Happy Holidays!